Christmas was in the air and Cornelius and his siblings were eagerly preparing for the celebration. But then, on Christmas Eve, disaster struck when the motorbike Cornelius was riding collided with a pick-up truck. Cornelius was rushed to the hospital, but it was too late to save his right leg, which had to be amputated below the knee. His family members donated blood to save his life during surgery, but a few days later, the doctors had to amputate above the knee due to a developing infection. Following his amputation, Cornelius relied on his family for everything, needing all of the family savings and his five siblings’ income to care for him. Because almost the entire family is farmers, this caused of financial and emotional strain. 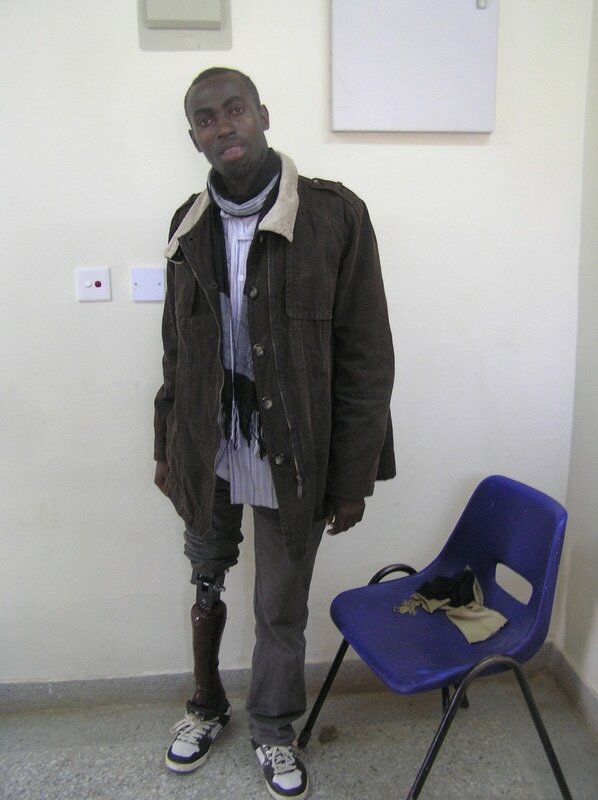 In March 2012, Cornelius was introduced to the LIMBS Knee system and his life began to change. Because of its affordable cost, high functionality, and ability to be repaired locally, the LIMBS Relief Knee has given him a new lease on life, allowing Cornelius to rejoin his family in the fields and dream of one day studying business.